Visit the Long Street Blues Club Facebook Page! March 7th, 1995 Tom was born in Birmingham, UK.From a young age his virtuoso Performances stunned audiences with his guitar playing quickly earning him respect and admiration from musicians more than 4 times his age. From 12 years old Tom was playing around the country in different line-ups along side much older musicians. This led to Tom's first studio sessions with legendary producer Richard Digby Smith (Island records.) Richard was one of the first people to discover Tom's natural feel on the guitar and recorded Tom's early demos. In November 2014 Tom travelled to Austin Texas to play a string of shows over in the USA. Jamming with local blues players, as well as playing to packed out venues raising his profile internationally. Seven years with the Tom Walker Trio found them headlining the most prestigious venues in the UK including Ronnie Scott’s Jazz Club, 100 Club London, The Borderline London, Eailing Blues Club, The Birmingham Town Hall, The Birmingham Symphony hall and a residency at Jools Holland's The Jam House. Throughout the trio toured with some of the most influential acts of the past 60 years, including The Moody Blues John Lodge, Paul Jones (Manfred Man, The Blues Band, BBC Radio 2) and The Move. As well as American blues artists including Eric Gales and Devon Alman. September 2016 Tom was interviewed on Big Centre TV's "What’s On Show" ahead of the last night supporting John Lodge at the Birmingham Town Hall. In April 2017 Tom released the Into Space EP with the single Sweet Angel, straight in the Top 20 in the IBBA Blues charts while selling thousands of copies world wide in the first few months of release. 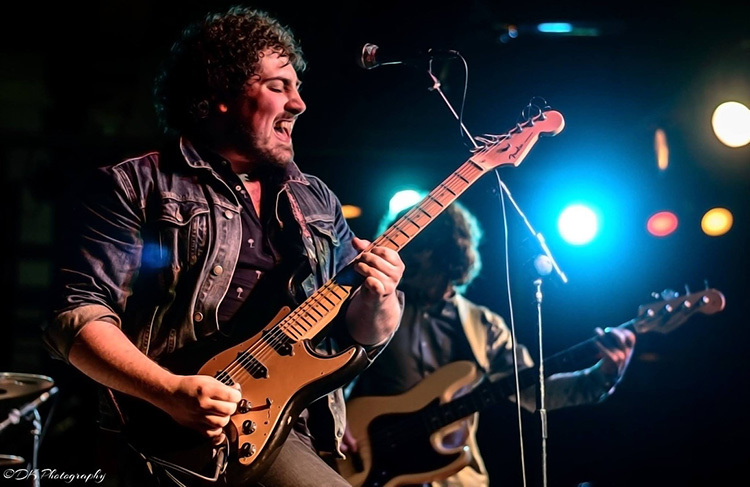 July 2017 The Tom Walker Trio hit the road for Tom's first headline UK tour, "The Into Space UK Tour," quickly selling out the Birmingham show before playing before Mungo Gerry at the legendary Ealing Blues Festival. After the tour Tom played a live acoustic set on Birmingham TV's "The Big Engine Debate Show." 5th November 2017 was the trio's final gig at The International Guitar Festival in Liverpool. 2018, Tom C Walker will be on the road with his new 4-piece band. Get your chance to see a new star on the way.This will be simply a brilliant gig. We are really proud to get this band to the club. As most of the band are resident in the North East they do not venture this far south a great deal and also they carefully choose the times when they can take this project on the road. 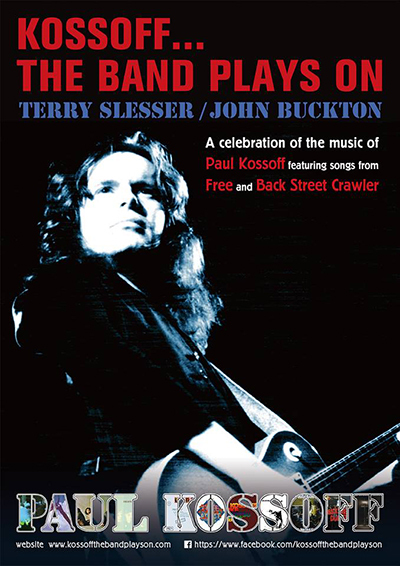 The stunning blues-rock music of Paul Kossoff, the lead guitar prodigy whose soaring playing lit up 1970s rockers Free, is coming to Long Street Blues Club. Kossoff, of course, died tragically young after a drugs battle aged just 25, but his music lives on with The Band Plays On, a band featuring Terry Slesser, the lead vocalist of Koss’s post-Free band, Back Street Crawler. Forty years on since Paul Kossoff, one of Britain’s finest guitarists, tragically passed away at the tender age of 25 in 1976. Singer Terry Slesser, the voice of Kossoff's critically acclaimed post-Free band Back Street Crawler, and a close friend of Koss, keeps the memory of one of the greatest British Blues guitarist and his music alive. Sless has chosen the guitarist John Buckton, of whom Simon Kirke said "If Free were to reform John would be my first choice as guitarist", to play a series of special dates reviving for the first time since the 70s the catalogue of Back Street Crawler songs as well as favourite Free numbers. 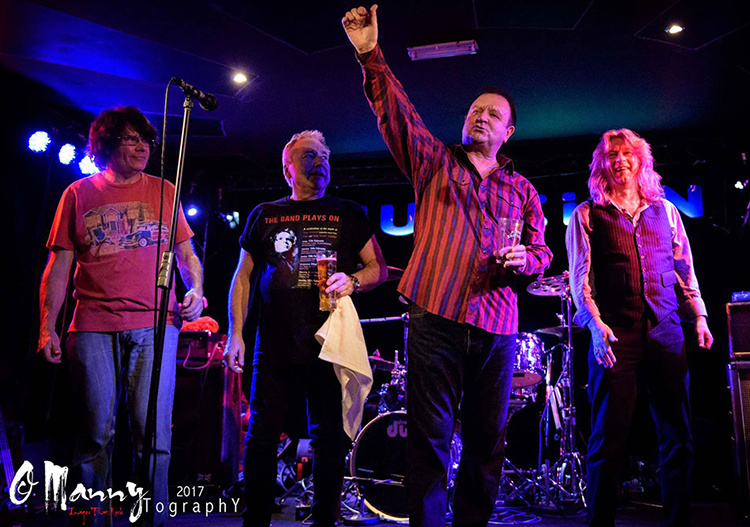 Also included in the lineup is drummer Clive Edwards (UFO, Wild Horses, Pat Travers) and highly respected keyboard player Mark Taylor (Elton John, Simple Minds, The Alarm). The Band Plays On play will feature the very best of Free’s back catalogue and also Back Street Crawler’s two-album sojourn. The band’s name is fittingly also the name of BSC’s first album with Kossoff from 1975. Highlights include Free’s world-wide hit and rock anthem “All Right Now”, “Fire and Water”, crowd pleaser “The Hunter” and “Molten Gold”, one of the first tracks Slesser and Kossoff played together with Back Street Crawler. This really will be a hot ticket so we strongly recommend getting tickets very early for this show. This band is on the move and have become a major force to be reckoned with on the Southern Rock scene. Skinny Molly's mantra is "Never let one fan leave a show disappointed"
The music and live reputation of the band caught the attention of legendary Ruf Records label president Thomas Ruf. Skinny Molly subsequently signed a deal with Ruf Records, becoming the second "southern rock" band to be signed in the wake of Ruf's expansion into the genre. At the time of the signing, Skinny Molly was in the studio cutting what would become their new and widely acclaimed CD, "Haywire Riot" released last year. This is no retro act though... these guys stand on solid songs, unique playing and creative instrumentation and arrangements to make even the most jaded rock fan (or even country or blues fan) a fan for life. Jump on and enjoy the ride! Their live sets are awesome so expect the modern southern rock they are known for mixed in with all the Skynyrd classics. They have sold out on the all the times they have been to the club. This will be no exception. We have gone the extra mile to put an additional gig to our programme when we knew there was a chance of The Legendary Waterlmelon Slim and his band coming to the club. 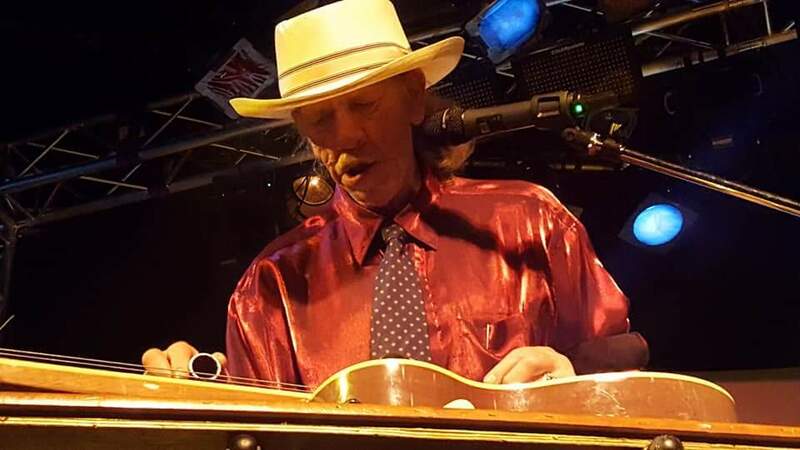 Bill "Watermelon Slim" Homans has built a remarkable reputation with his raw, impassioned intensity. HARP Magazine wrote "From sizzling slide guitar...to nitty-gritty harp blowing...to a gruff, resonating Okie twang, Slim delivers acutely personal workingman blues with both hands on the wheel of life, a bottle of hooch in his pocket, and the Bible on the passenger seat." Paste Magazine writes "He's one hell of a bottleneck guitarist, and he's got that cry in his voice that only the greatest singers in the genre have had before him." He produces one of the most original live blues performances you are ever likely to hear. He is simply the real deal. We know we are going to get a great deal of interest in this show so please get your tickets early!